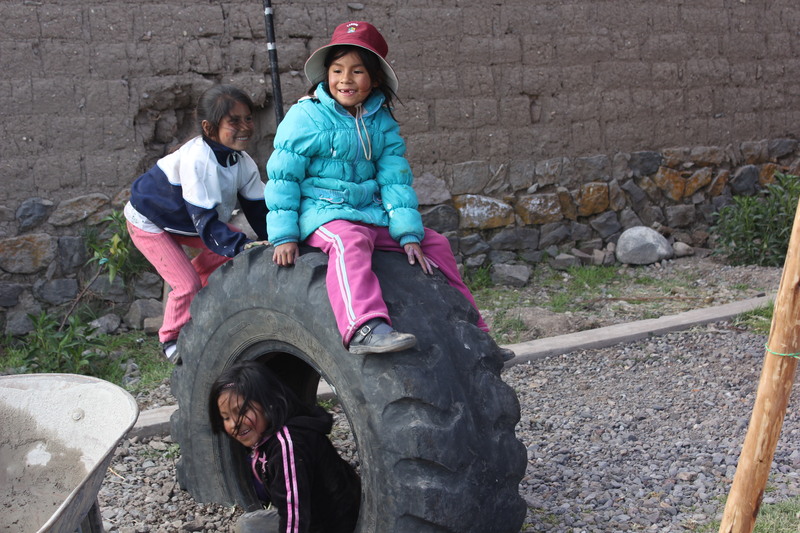 Wawa Puklay, or “children playing” in Quechua, is a temporary playground in the Colca Valley of Peru. 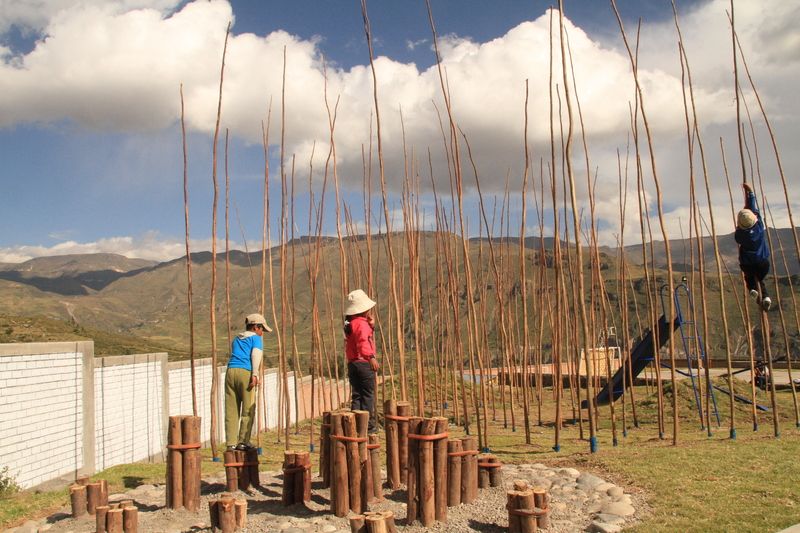 Facilitated by Coordinnadora Latinoamericana de Estudiantes de Aquitecture (CLEA), the project brought Latin American architecture students together with local communities to create a unique and dynamic gathering space, despite the area’s limited resources. 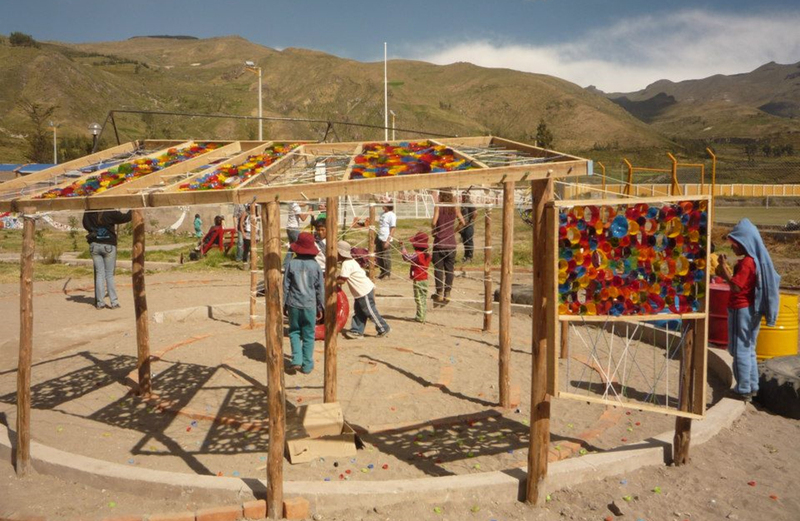 For two weeks in 2013, locals from the village of Coporaque worked with the students to design and implement a play space on an undeveloped site. 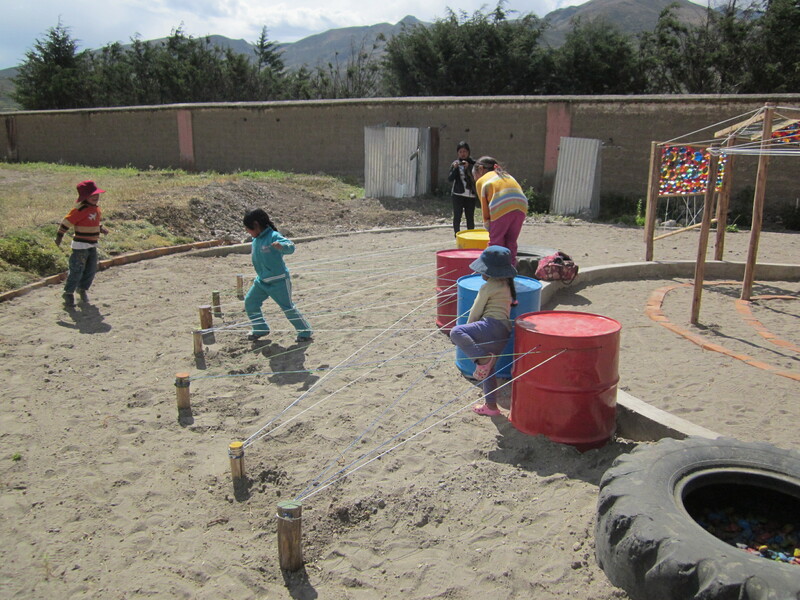 With a small budget of $1200, builders used repurposed materials found in and around the region. 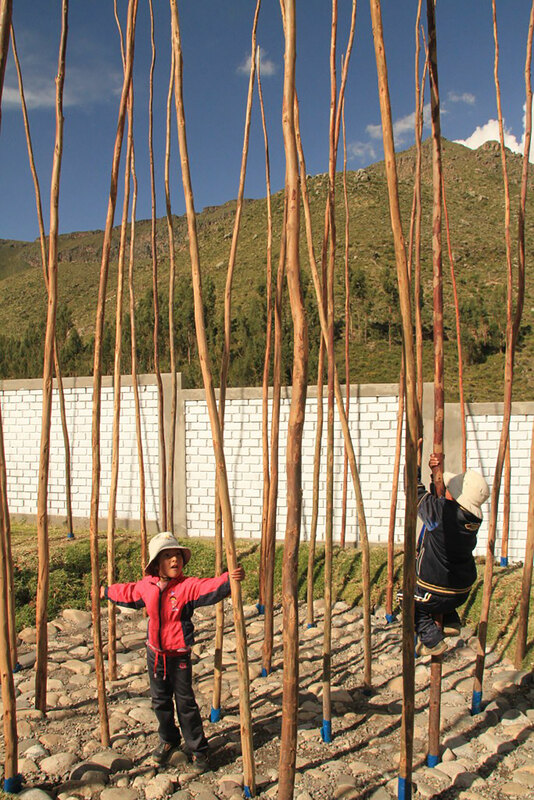 Armed with hand tools, the dozens of project participants raised tall, slender poles for children to climb up and jump between. 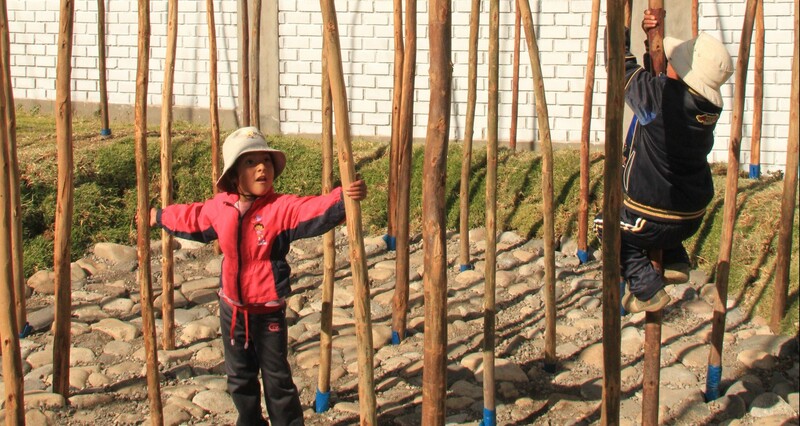 Bells placed atop the poles ring as children play, or as they sway in the wind–a creative touch that announces the presence of people in the area. Thatched slides and timber ladders act as jungle gyms, while numerous gardens make the once-barren space a pleasant destination. In all, Wawa Puklay shows how successful playgrounds do not require expensive equipment, just a devoted community with ample creativity. 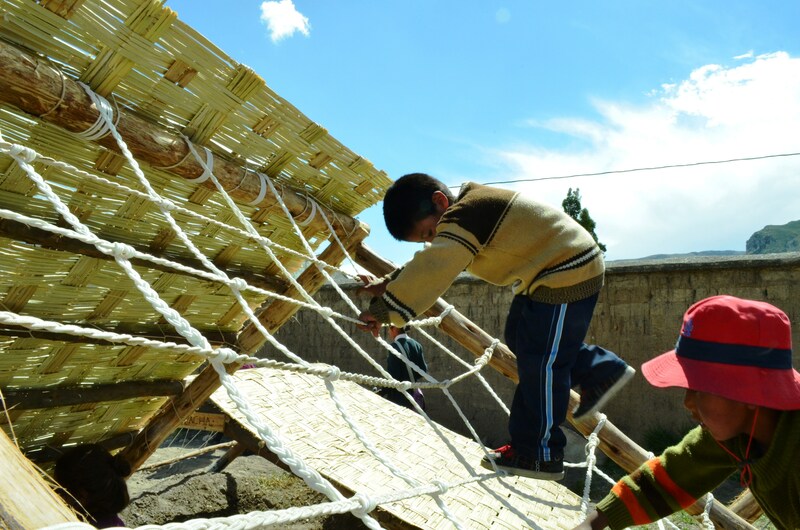 The playground utilized mostly recycled and natural materials. Wawa Puklay took two weeks to design and build. The project budget was $1200.